Everyone at Ernest Bevin College who comes into contact with children, their families and carers, has a role to play in safeguarding children. All professionals should ensure that their approach is child centred: this means considering at all times what is in the best interests of the child. We also recognise that abuse and neglect are complex issues and rarely stand-alone events and therefore require a culture of vigilance, professional curiosity and respectful challenge and effective recording and monitoring systems. The college is also aware that the scope of safeguarding has broadened from a focus on protecting pupils from domestic abuse and dysfunctional families. We have therefore embraced the PREVENT agenda, raised awareness of our practice and responsibilities and increased our actions in relation to gangs and criminality. These members of staff have undertaken the required training as provided by the borough. 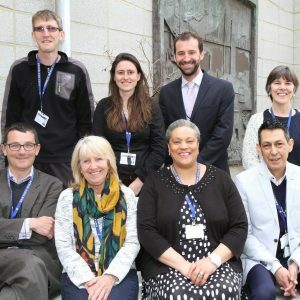 They and others in the Safeguarding Team at Ernest Bevin College are shown in the photograph.